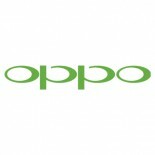 Lenovo, Oppo, THL, ZTE, Zopo, Xiaomi and other mobile phones REVIEWS. | A Great Blog about chinese great deal mobile phones. Lenovo, Oppo, THL, ZTE, Zopo, Xiaomi and other mobile phones REVIEWS. A Great Blog about chinese great deal mobile phones.